The Monmouth University Men’ Soccer High School Elite Camp is open to all and any 9th to 12th-grade boys. It is a 3-day soccer clinic from July 10 to July 12. This soccer training camp will replicate a real college level training environment and competition. There will be small-sized and full-sized matches that will allow the participants to exhibit their skills. It is a venue that will provide outstanding players to get the attention of the university’s soccer team recruiting officers. The camp will take place at Monmouth University soccer facilities. Overseeing this training program is the Monmouth University men’s soccer coaching staff. In addition, the university’s current players will also help to facilitate the camp. Monmouth University, formerly Monmouth College, is a private coeducational university in Monmouth County, New Jersey. It is a member of the Council of Independent Colleges. The university is also part of the National Association of Independent Colleges and Universities. Furthermore, Monmouth University has an accreditation from the New Jersey Commission on Higher Education. It is using a semester-based academic calendar. Monmouth University is a top-notch institution. In fact, it is 28th in Regional Universities North, 2018 edition of Best Colleges rankings. It is 71st in the Best Value Schools rankings. And, 290th in the Business Programs rankings. Currently, the university is accommodating around 4,600 undergraduate students. Monmouth University fields 21 intercollegiate sports teams in NCAA Division I. Their official colors are blue and white. Their nickname is Hawks. 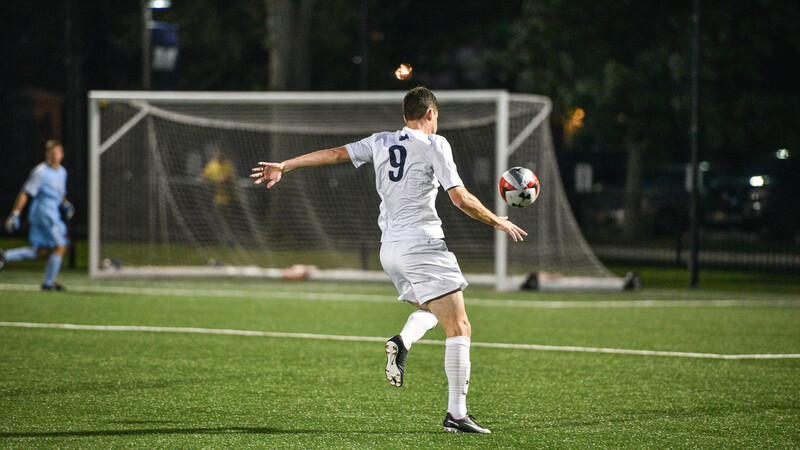 Head Coach Robert McCourt is leading the Monmouth University men’s soccer team. Coach Robert McCourt is a 6-time Conference Coach of the Year awardee. Ultimately, under his guidance, the Monmouth Hawks has already 9 Conference Regular Season Championships and 5 NCAA Tournament appearances. Coach McCourt is also a United States Soccer Federation A License holder. Then, the Hawks Associate Head Coache is Hugh MacDonald, a standout defender during his playing days. He is a 2-time Northeast Conference Defensive Player of the Year. Finally, the team’s Assistant Coach is Alex Blackburn. He is at the same time the Goalkeepers Coach. The Monmouth University Men' Soccer High School Elite Camp will replicate a real college level training environment and competition.